Ruslan Malinovskiy cancelled out Federico Bernardeschi’s second half strike as Italy were held 1-1 by Ukraine in an international friendly in Genoa on Wednesday during which the victims of the bridge collapse in the city were remembered. Bernardeschi’s low strike beat Ukraine goalkeeper Andriy Pyatov after 55 minutes, but seven minutes later Malinovskiy volleyed in for the visitors. 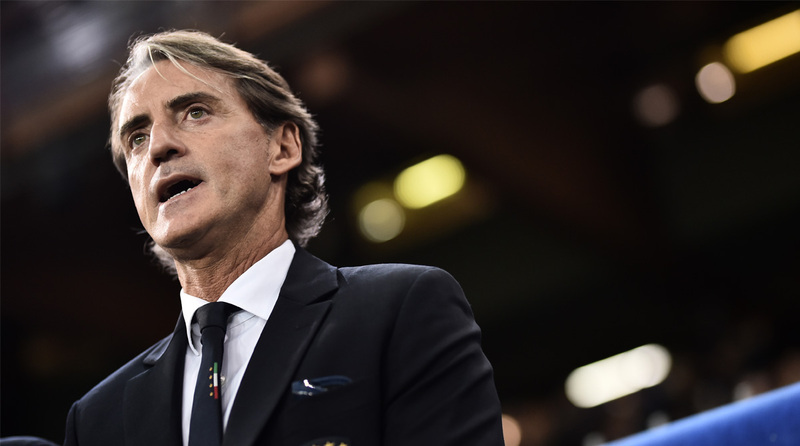 Italy coach Roberto Mancini spent most of his playing career in Genoa, at Sampdoria, and the friendly at the Stadio Luigi Ferraris was organised to raise money for those affected by the collapse of the Morandi bridge on August 14. Mancini, 53, was the most capped player in Sampdoria’s history and also the Genoa club’s top scorer winning a Serie A, four Italian Cup and a European Cup Winners Cup with the club. Play was halted at the 43rd minute to remember the 43 people who died in last August’s bridge disaster, with the words “Genova nel cuore” (Genoa in the heart) flashing up on the stadium’s big screens with players and supporters carrying out a minute’s applause for the victims. For Mancini it was “a strong moment of emotion” having lived years in Genoa and crossed the bridge many times. Mancini took over four-time world champions Italy after their failure to qualify for the World Cup in Russia, but has just one win in six games since May, against Saudi Arabia. “We regret not having made the fans happy up until the end, even if we did good things,” added the Italy coach of whistles which accompanied the players off the pitch. For Italy the game was a warm-up ahead of the weekend’s Nations League game against Poland, with the Ukraine playing the Czech Republic on Tuesday. Paris St Germain midfielder Marco Veratti returned after a long lay-off with Cagliari midfielder Nicolo Barella, 21, making his senior Italy debut. Pyatov has made a number of fine saves, clearing a low Bernardeschi curling shot after five minutes and a Leonardo Bonucci volley. There was a double chance just before half-time, as Lorenzo Insigne’s effort was beaten away by Pyatov and a Barella volley deflected over. But Bernardeschi finally got the better of Pyatov after 55 minutes before being replaced by Lazio’s Ciro Immobile. Federico Chiesa missed a chance to close down the game for the Italians, and moments later Mykyta Burda headed down for Malinovskiy to volley in. “We deserved to score at least a couple of goals tonight,” said Mancini. “Now we have four days to prepare for Poland and will try to give our best.” In the Nations League, Italy play Poland in Chorzow, after drawing 1-1 against the Poles in Bologna and losing 1-0 to European champions Portugal. The Ukraine play the Czech Republic at home in Kharkiv on Tuesday.